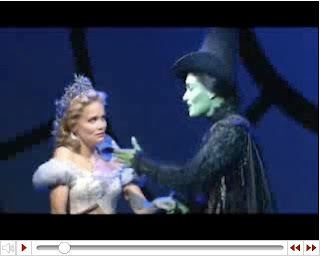 I found this little wicked clip that's from the show's opening night on Broadway. It's got some musical moments as well as interviews with the actors, writer, and directors. I just think it's some good inspirational material that could help us this weekend.